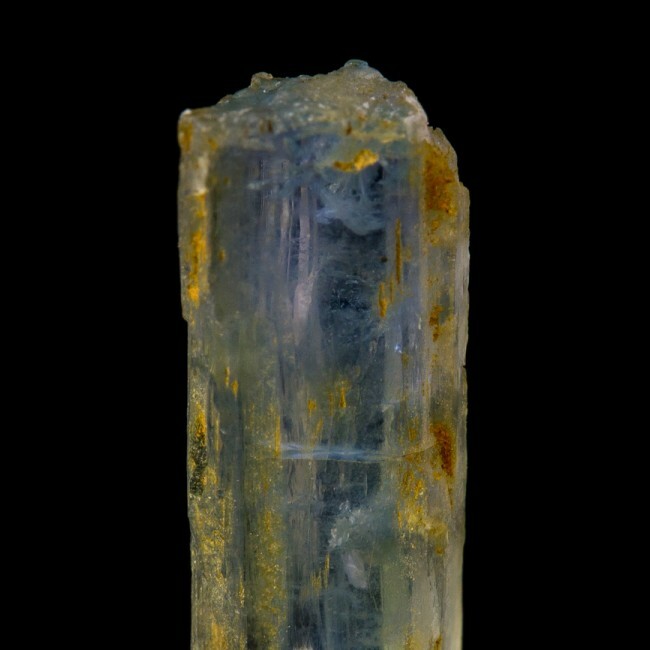 Size 0.8" x 0.2" x 0.2"
JERMEJEVITE is a very rare mineral, and seldom available in well formed crystals. 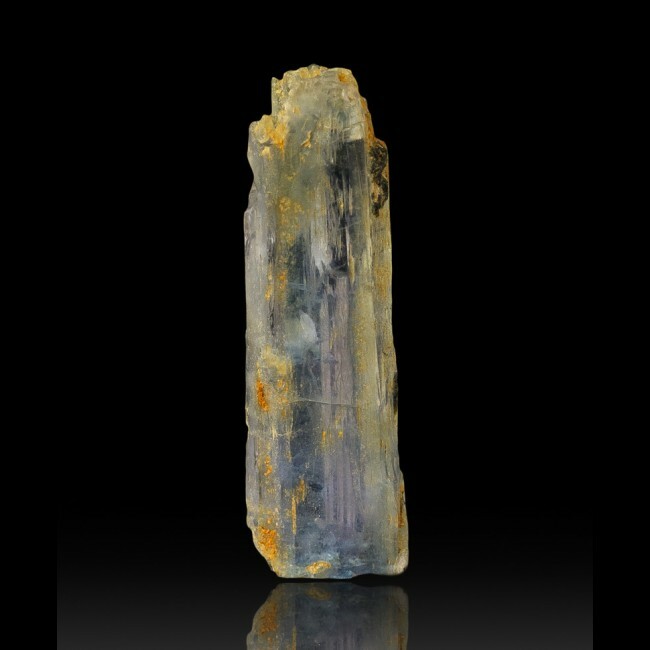 This crystal is an outstanding example of the jeremejevite that is occasionally mined at the Ameib Farm, Usakos, Karibi District, Erongo Region, Namibia. I acquired a large lot (which only weighed a few grams!) of jeremejevites from a dealer who I had arranged to meet in advance during the Tucson Gem, Rock and Mienral Show. Jeremejevite crystals are one of the rarest, most desirable crystals amongst mineral collectors, and the recent drought of new material has made them even scarcer.